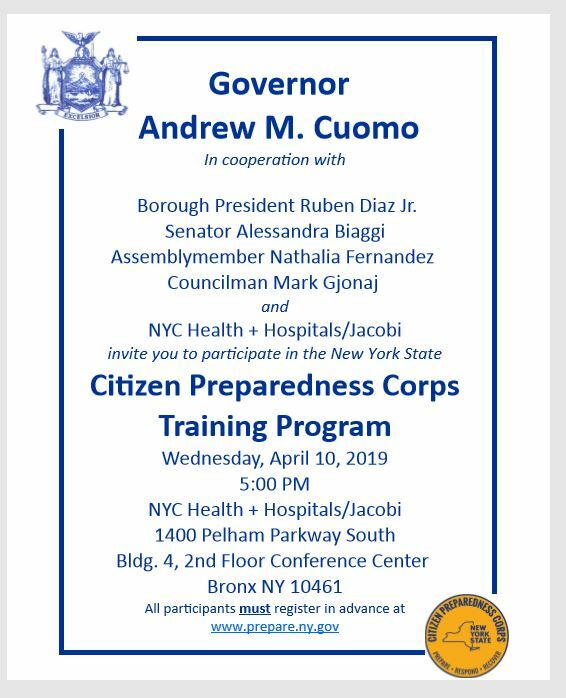 Participants will receive a free Citizen Preparedness Corps Response Starter Kit. RSS is the 2018 Ready Senior Center of the year for our focus on emergency preparedness. We encourage you to get this training which will help you, your friends, family and neighbors handle any emergencies that come your way.